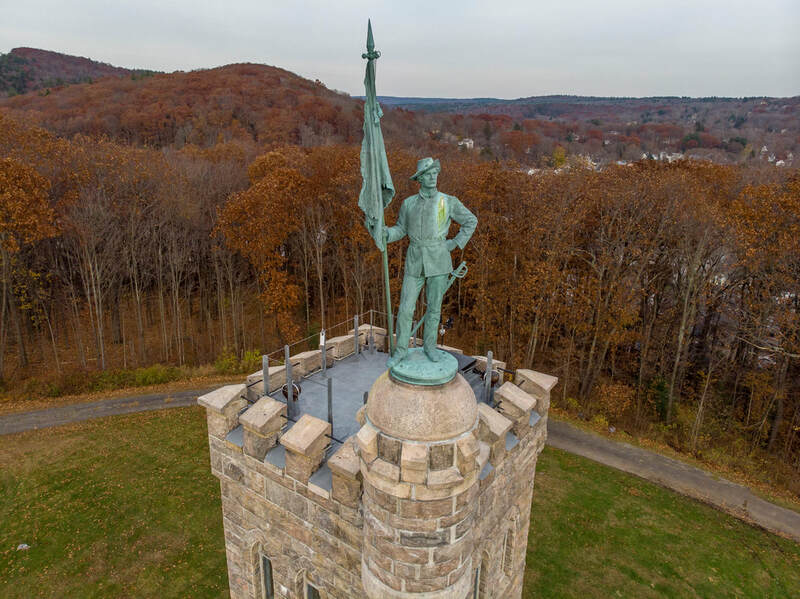 Patrick Falci - You Tube - The Making of the Film " Gettysburg"
The Soldiers’ Monument Commission would like to thank the taxpayers of Winchester, area-wide donors, and countless volunteers for contributing to the continued renovations of the 127-year-old monument. 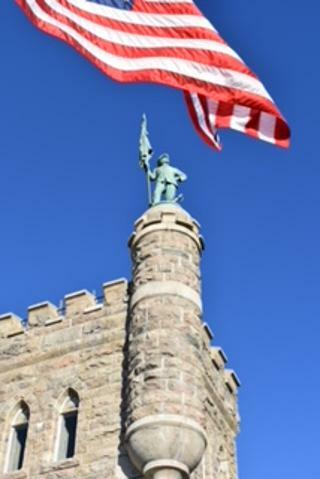 Located on Crown Street, the monument (the icon on our town’s seal) commemorates and honors area soldiers who fought in the Civil War. The commission has conducted several fund drives to replace the roof, and to re-mortar the entire outside of the three-floor structure. This November we can happily say we have successfully accomplished those restorations. Our nine-member commission want to personally thank you all for the donations left during visits to the monument, when attending our events, responding to funding request letters, and for contributions made through estates and foundations. We want to specifically recognize recently deceased resident Gemma DiMauro and former commission member Bob Eddie who each left $10,000 in their estates for the monument’s restoration. Additionally, we want to thank the Tiffany Thompson Foundation for its continued support of the restoration in the amount of $15,000 over the last three years. The commission recognizes the historical importance and aesthetic value of the Soldiers’ Monument, a symbolic icon of the town of Winchester. Our mission is to protect, preserve, and enhance this nationally-recognized landmark while providing a clean and safe park for all residents and visitors. As we now begin a new fund drive to replace the monument’s 21 windows, we look for your continued financial support for this on-going restoration of the Soldiers’ Monument and Memorial Park. Thanks to all of you for your support. Commission members Noreen Marchand, Deborah Kessler, Sheila Sedlack, Jack Bourque, Steve Dew, Lynn Kessler, Steven Silvester, Virginia Shultz-Charette and Douglas Werner. Thank You all who attended the Veterans' Day, open house and the reading of the Gettysburg Address.